To be in world of BI off the track we must consider other aspect related world of it. Microsoft Dynamics CRM Mobility enables workforces to have access to their Dynamics CRM/ERP data through mobile devices any time, any where. This program also enables an enterprise to leverage mobile communications to stay connected with your employees and customers. What solution options we can provider then? If we are talking about the Microsoft Dynamics CRM Mobility solution, there are two major ISV providers on the market, TENdigits and CWR Mobility. 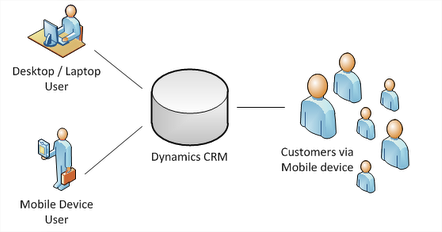 Both of these ISVs provide an advanced level mobility solution for Microsoft Dynamics CRM. And Microsoft Dynamics CRM 2011 has an out-of-box Mobile Express version which works on the target devices but lacks some functionalities such as no offline mode (yet). Lets dig into this too !! On the bright side of native app, it provides native API support for the mobile device. But you have to build applications using mobile OS-specific language. In other words, you need to develop different applications for different devices. In our target mobile platform, you would need to develop 4 applications for Android, iOS, Windows Phone and BlackBerry devices. As you can probably imagine, that would require some effort, especially when upgrading and maintaining the application. Web app are browser based application that run on mobile devices. 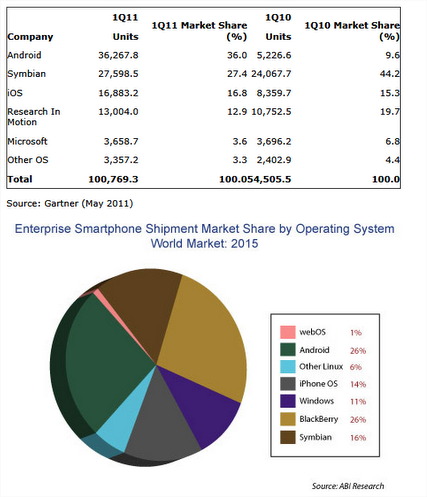 Generally speaking, mobile app provides the Cross-Platform support; one web app can suit different mobile platforms. The blind side for web app can be in performance and some limitations based on API-specific access. HTML 5 web app is the perfect choice for web-based applications that are designed for mobile devices. HTML5 is quickly becoming the new standard for HTML, XHTML and HTML DOM. Note that HTML5 is not yet an official standard and no browsers have full HTML5 support at this time. All major browsers (Safari, Chrome, Firefox, Opera, and Internet Explorer) continue to add new HTML5 features to their latest versions, as well as the mobile browsers. In short HTML 5 is Future web app in CRM !! Previous Post Microsoft Small Basic for Learners and to Continue Learning ! !